On the stroke of 0830, the remaining runners were released on a truly spectacular but tough and challenging day 3. 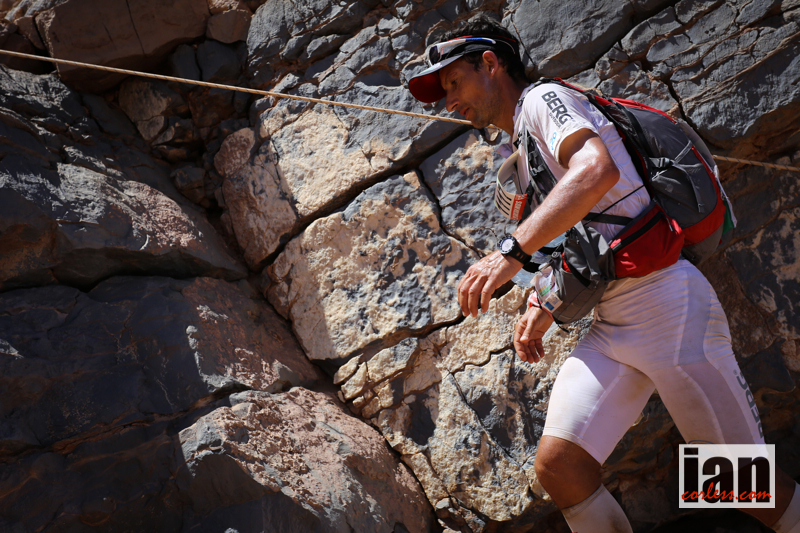 Just 2km out of camp dunes waited and a sandy passage through two mountains, Running through a Oued, the first challenge of the day came at 7.4km with a sandy passage and steep climb to the summit of Joua Baba Ali jebel and then a technical path lead to Cp1 at 10km. From here a small section of flat running preceded arguably one of the highlights of the 32nd Marathon des Sables – the second section of Joua Baba Ali jebel. This section is ‘skyrunning’ in nature – technical, exposed and a real challenge. A sandy descent lead to the flat valley and a long flat run to Cp2 before the tough and challenging climb to the summit of El Oftal jebel. Descending down a stony gulley, dunes followed and then a flat and expansive run to the bivouac concluded the 31.6km day. The day started with Rachid El Morabity bidding his time and running a little behind his Moroccan friends. However, the early stages saw a charge from Remigio Human, Andy Symonds and Thomas Evans. Was he El Morabity struggling? The simple answer is no! After Cp2 he regained the front of the race and although he didn’t pull away and gain a huge margin, win the day he did! El Morabity crossed the day 3 finish in a ridiculous 2:33:14, his brother Mohamad was 2nd in 2:34:25 and then Abdelaziz Baghazza, Abdelkader El Mouaziz and Thomas Evans took the remaining top-5 placings in 2:34:26, 2:35:59 and 2:38:53 respectively. I think they were all thinking of the ‘long-day’ of 80km tomorrow! Elisabet Barnes lead from the front once again and it remained that way all the way to the end. However, the technical terrain allowed Nathalie Mauclair to keep her much closer in sight and at times they were just seconds apart. It was in the flatter final stages that Barnes opened a little time crossing in 3:13:07 to Mauclair’s 3:15:14. Fernanda Maciel one again returned to form finishing 3rd in 3:27:11. However, Barnes took a fall today after being distracted on the course. At the finish she has received an injection and stitches… I have no other information at the moment and will report back after chatting in bivouac. Melanie Rousset, Emilie Lecomte and Aziza Raji took the other top-6 places in 3:28:02, 3:33:44, and 3:47:23. Attention now turns to the much feared ‘long-day!’ At 86.2km and a 35h cut-off, this day will be a challenge for all. There are two starts with the majority of the race leaving at 08:15 and the top-runners departing at 11:15. Transgrancanaria kicks off the first race of an ever growing European calendar and just as has happened in previous years, a stellar field will assemble on the island for what is always a tough and challenging series of races. For the men, we have some of the 2014 big hitters missing: Ryan Sandes, Julien Chorier, Timothy Olson and Sebastien Chaigneau. That leaves the podium wide open… you’ll soon see though, Transgrancanaria has no shortage of male talent gunning for the top slot. For the ladies, 2014 champion Nuria Picas returns along with Fernanda Maciel who placed 3rd. The only significant name not starting is Francesca Canepa. 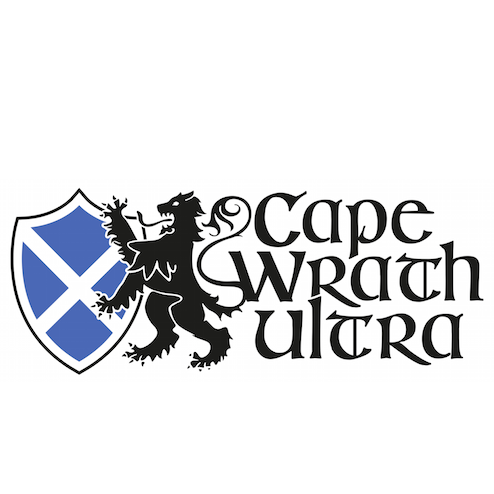 The third race of the 2015 Ultra Trail World Tour (UTWT) looks all set for an epic battle. The competition among male runners will be tough and exciting. Many elite runners already know the race but we need to watch out for several names that are racing for the first time who stand a great chance to contest the podium. Experience always provides an advantage; previous editions of Transgrancanaria have shown that this course offers many surprises due the tough and challenging terrain. Joe Grant, Brendan Davies, Sebastien Buffard, Anthony Gay, Sylvain Couchaud, Cyril Cointre, Christophe Le Saux and Yan Longfei will all ensure that the ‘hot’ contenders will have to fight hard for victory. Who’s shooting for the podium? 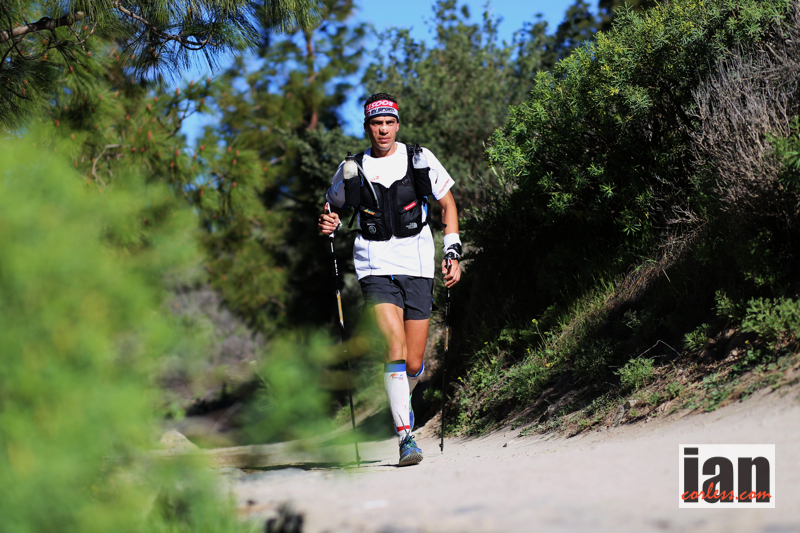 Iker Karrera has all the potential to be an unstoppable force at Transgrancanaria. He has a great combination of strength, speed and endurance; Ail essential ingredients for success at Transgrancanaria. 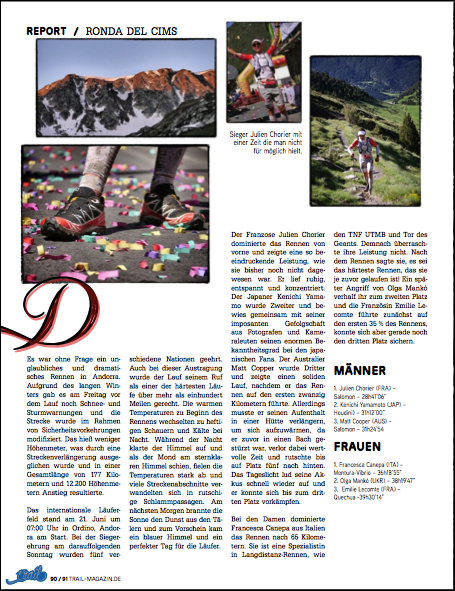 Iker’s 2013 Tor des Geants and Eiger Ultra Trail performances and arguably, he would have been a potential 2014 UTMB winner had an unstoppable Francois d’Haene not turned up. 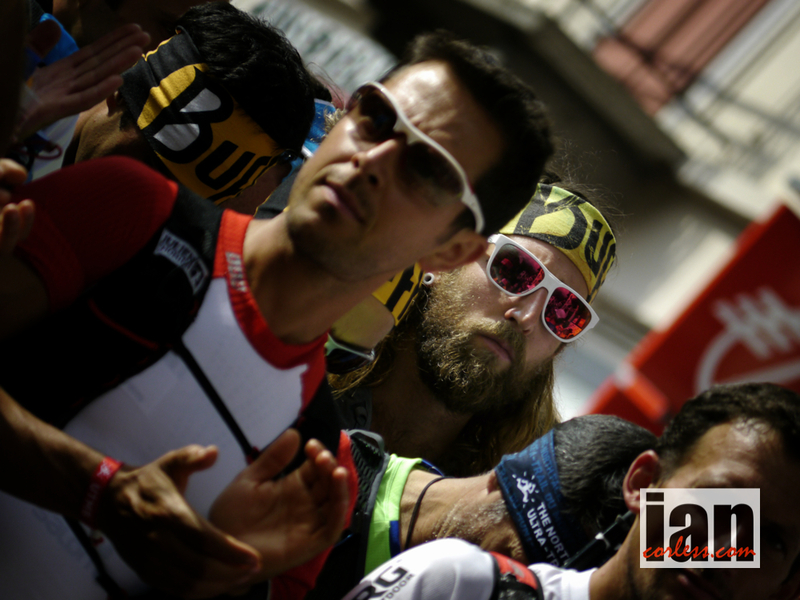 Anton Krupicka had a couple of low-key successes in 2014 with Jemez 50 and the Dirty 30; both great comeback races that precluded a strong and impressive Lavaredo. This had us all thinking Anton is back! Unfortunately, it all went pear shaped at UTMB when his body shut down. If Anton is ‘on’ then he will push at the front and contesting the win. The distance suits his racing style and the technicality will play into his hands. 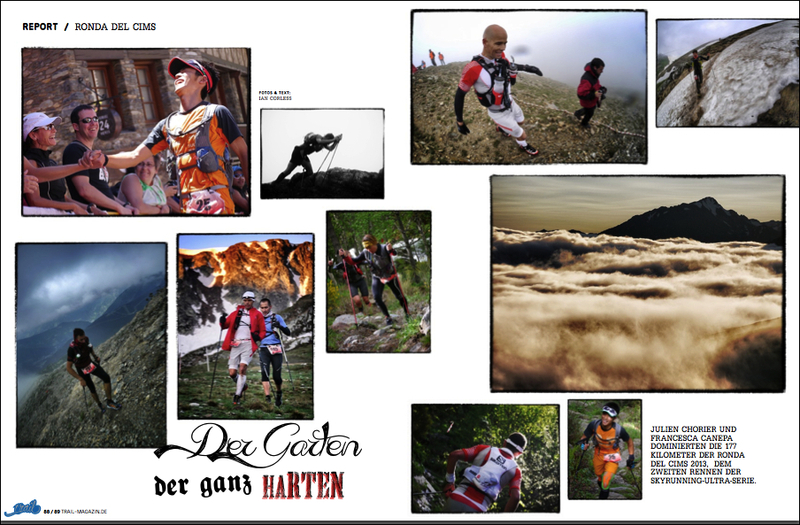 Gediminas Grinius had a stunning 2014 with 3rd, 4th and 5th places at Lavaredo, UTMB and Raid de la Reunion. Three tough races! Based on these performances, Gediminas has all the potential to podium once again and should all things align, he may even win. Carlos Sa is an ever-consistent performer who performs exceptionally well on a multitude of surfaces, distances and temperatures. 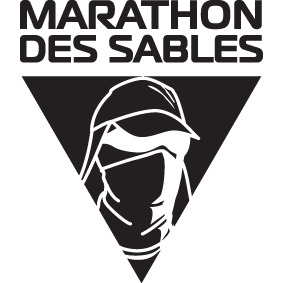 Think: Badwater, UTMB and Marathon des Sables. Without doubt Carlos will be in the mix, definite top-10 material and if he has a great day, the top-5 is not beyond him. Sondre Amdahl like Gediminas Grinius had a great 2014. He placed 6th at Transgrancanaria last year and then 7th at UTMB. His recent 2nd at HK100 is a sure sign that he is in form. He has prepared meticulously for Transgrancanaria… he even moved to the island! 2015 may very well provide an opportunity for a breakthrough performance? 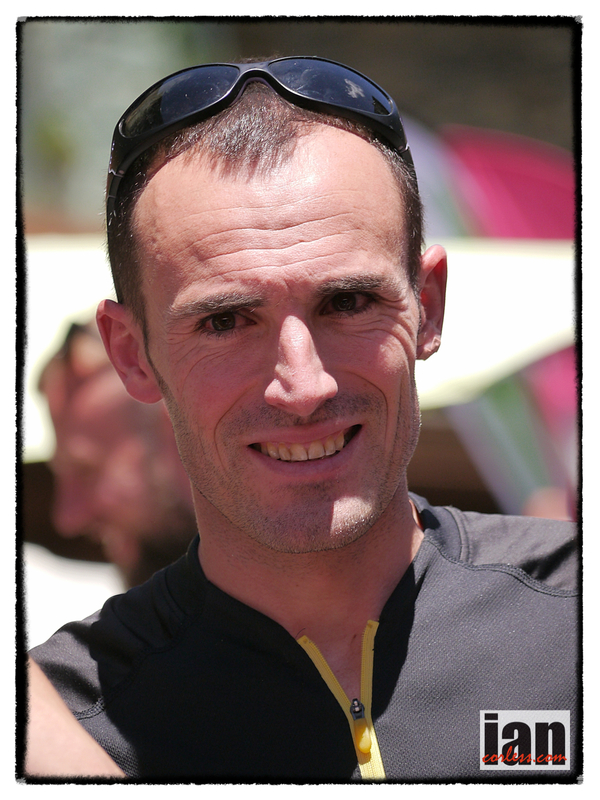 Pau Bartoló won the 2014 CCC and a tough and challenging Transgrancanaria course will play into his skill set. He’s going to need a great day to make an impression on the podium but this island has a habit of jawing runners up. A little patience early on may well pay dividends later. Brendan Davies is a guy who likes to run, a win at TNF100 and top-10 at Western States proves this. However, he always seems less positive on technical courses and as we all know, Transgrancanaria has plenty of this. If Brendan can find his legs and get in a rhythm, he will be a contender. Javi Dominguez was 7th last year and followed that up with a solid 5th Raid de le Reunion. He’s a shoe in for top-10 but the podium will likely elude him unless several other runners crumble (possible on this course) and he as a great day! Antoine Guillon is part of the unstoppable WAA team who somehow seems to manage racing almost every race in the UTWT calendar and still come out with great results as his 3rd, 4th and 5th at Tor des Geants, UTMF and Transgrancanaria show. I see no reason why Antoine wouldn’t make top-5 again! Yeray Duran was 4th last year and is always fired up for what is his ‘home’ race. His form however can be little unpredictable, so, I’m going to sit on the fence; he could very well have a brilliant day or a disappointing day. Let’s go for the former… top-5! Yan Long Fei won HK100 ahead of Sondre Amdahl arguably to his incredible sub 2:15 marathon speed. Ultimately though, Transgrancanaria is not going to all Yan many opportunities to open the after burners and run… I see Yan having a similar race to Brendan; they could both potentially struggle with the technicality. Plenty of other great male runners in this race and any of them could shine. For example, Joe Grant will like this course, how he performs very much depends on his recovery from The Coastal Challenge, which he raced in early February. 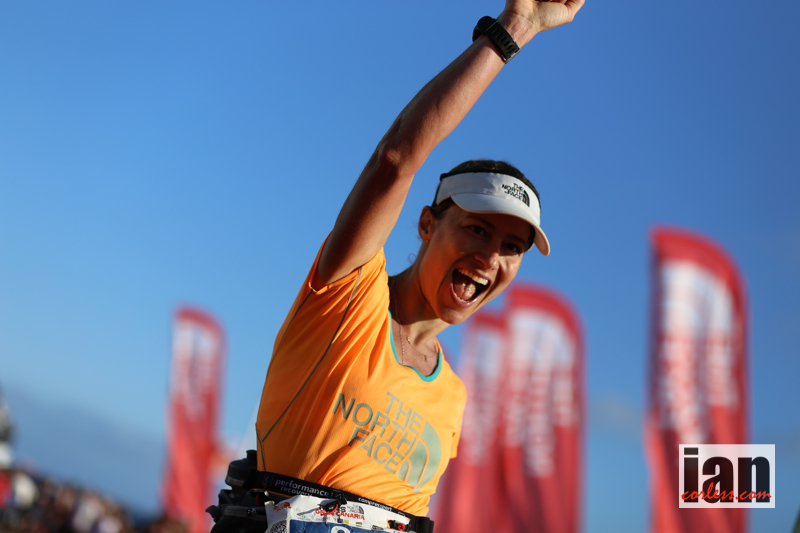 The female field can often lack depth, but not at Transgrancanaria… 2014 champion Núria Picas heads up the ladies race along with 2014 3rd place, Fernanda Maciel. 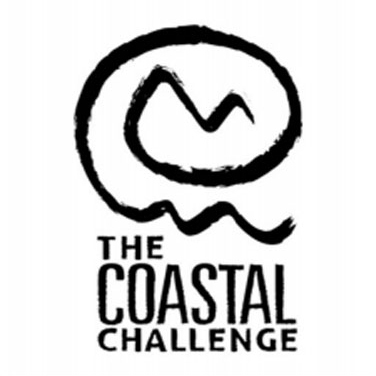 Nikki Kimball fresh from The Coastal Challenge in Costa Rica will also be a major contender. From Europe, Caroline Chaverot, Emilie Lecomte, Denise Zimmerman, Ildiko Wemescher and Elena Polyakova are the main contenders but they will need to suppress competition from American and Canadian: Aliza Lapierre and Stephanie Case. Manuela Vilaseca, Dong Li, Wyan Chow, Nerea Martínez, Xari Adrián, Silvia Trigueros and last but not least, Claire Walton make this arguably one of the strongest female fields we have seen at Transgrancanaria. Nuria Picas was unstoppable last year winning or making the podium in pretty much every race she ran. Kicking off 2015 with a podium place at UTMF was clear sign that Nuria was running herself in to form. 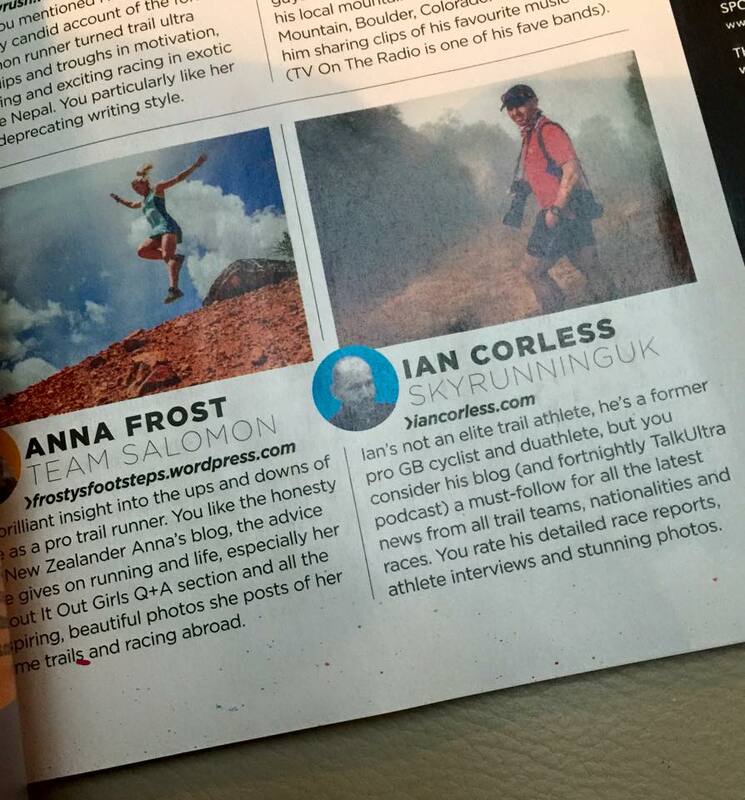 I think she will show the ladies a clean pair of heels at Transgrancanaria and take a strong and decisive victory. Fernanda Maciel placed 3rd last year and arguably gave 2nd place away to Francesca Canepa (who has decided not to race) after having a to-and-fro battle with the Italian. Fernanda had a strong 2015 consistently making the podium in UTWT races. Recently, she has had an extended period at Aconcagua and all that altitude must be advantageous. 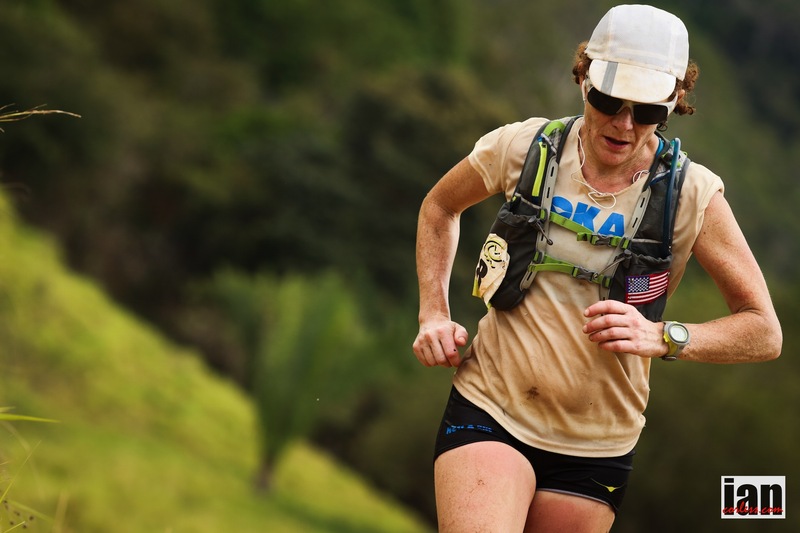 Nikki Kimball needs no introduction, she has been there and done it: from Western States to UTMB. Nikki, like Joe Grant raced The Coastal Challenge in Costa Rica and by contrast to Joe, I don’t think TCC will have fatigued her, on the contrary, it will have provided a great kick-start for a potential podium performance in Gran Canaria. 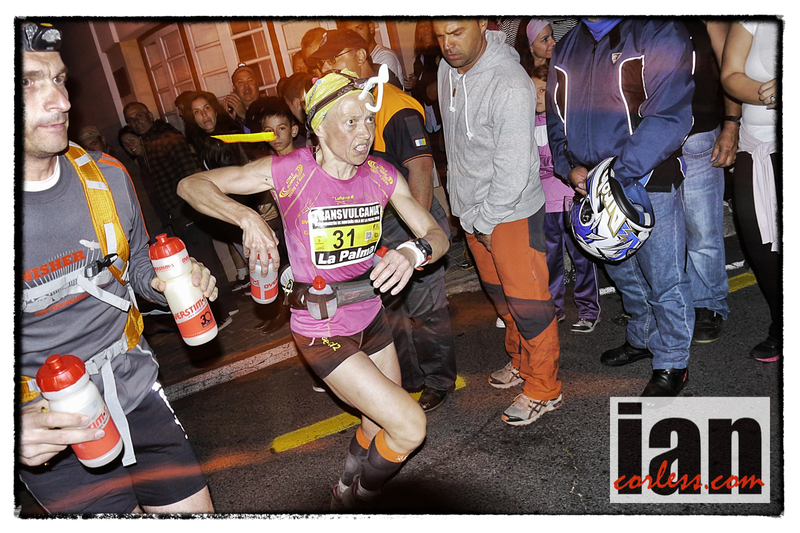 Aliza Lapierre placed 5th at Templiers in 2014 and has won Bandera 100k. I can’t help but think that a ‘running’ course would play into Aliza’s hands more than this course, however, she has loads of class and we can expect that to shine through for a potential top-5. Emelie Lecomte lacks outright speed but she is a pure mountain lover and she has endurance in abundance. The tougher the better! Emilie has set records on the GR20, excelled at Tor Des Geants, Raid de la Reunion and Ronda dels Cims. Nerea Martinez and Emelie are made from the same mold and ironically have very similar race histories. Top-10 for sure and don’t expect Emelie and Nerea to finish next to each other in the results. Wyan Chow won HK100 and may well upset things a little. I don’t see victory coming Wyan’s way but a podium is a possibility. Similarly, Dong Li who placed 2nd at HK100 and Sai Kung 50 will almost certainly make top-10 but the podium is a long shot. A surprise may come Caroline Chaverot who placed 5th at Mont Blanc 80K in 2014 and my dark horse is Claire Walton and possibly Elena Polyakova. Stephanie Case gets a nod as a last minute entry. 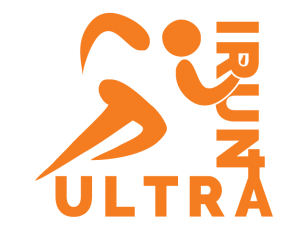 Elite runners will not be seen just in the Ultra race but also in the Advanced race of 83 km. The Advanced has been included this year for the first time in the Spain Ultra Cup® Aml Sport HG and will start from Moya town. Furthermore, this race will allow runners score points for the Championship of the Canary Islands. Zaid Ait Malek, from Morocco, Jorge Aubeso, Pau Capell, Judit Franch, Laia Díez, Yolanda Fernández, among a number of local runners from the Canary Islands, are the ones who will keep the level of this race very high. Additionally, last year winner Nuria Domínguez will participate in the Marathon and the Polish Tomasz Kilsz, winner of Marathon in 2013, will run this year the Starter race. 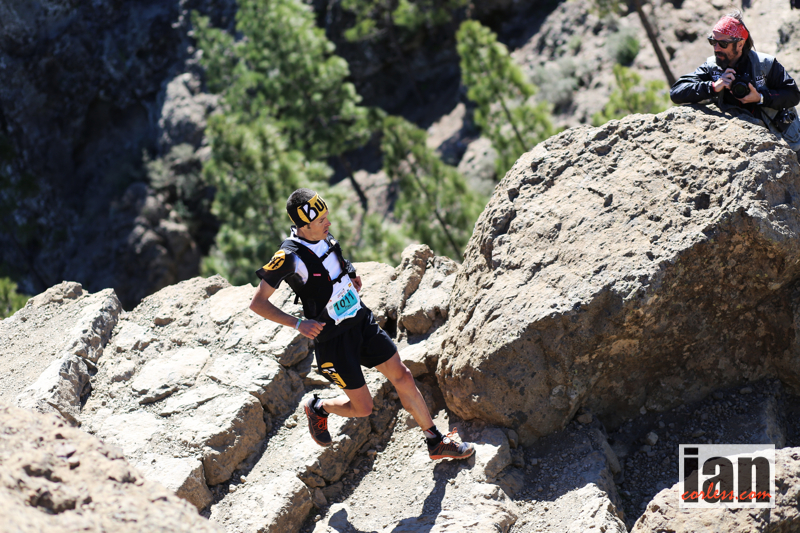 Efrén Segundo, Trail Series, Championship and Cup of the Canary Islands winner, will participate in the Promo race. The aim of the UTWT is to gather the most important races of the five continents and to offer the runners the opportunity to discover new landscapes while running. These races also show how diverse trail running can be: steep mountains on Gran Canaria, strenuous uphill in the Alps, paths in California, hills and beaches in Hong Kong or the Moroccan desert. The proposed races are made for runners with high adaptability and each and every of them is unique: The North Face® Transgrancanaria®, Vibram® Hong Kong 100, Tarawera Ultramarathon, Marathon des Sables, The North Face® 100 Australia, The North Face® Lavaredo Ultra-Trail®, Western States 100 Mile Endurance Run, Eiger Ultra-Trail®, Ultra-Trail® du Mont-Blanc, Ultra-Trail® Mt.Fuji® and Le Grand Raid de la Réunion. All these races require different skills in order to win or to be one of the finishers. The Diagonale Des Fous (Raid de la Reunion) literally translated, as the Diagonal of Fools is renowned as one of the toughest 100-mile challenges available on the racing calendar. It’s a leg busting 164-km’s with 9900m of positive incline. To put this in context, it took Kilian Jornet 26 hours and 33 minutes to complete the course in 2012. Emilie Lecomte, the long distance specialist, won the ladies race in 33 hours 03 minutes and in doing so placed tenth overall. Starting at 2300 hours on Thursday October 17th, the challenge is not only the terrain and the distance but also battling through several nights without sleep. 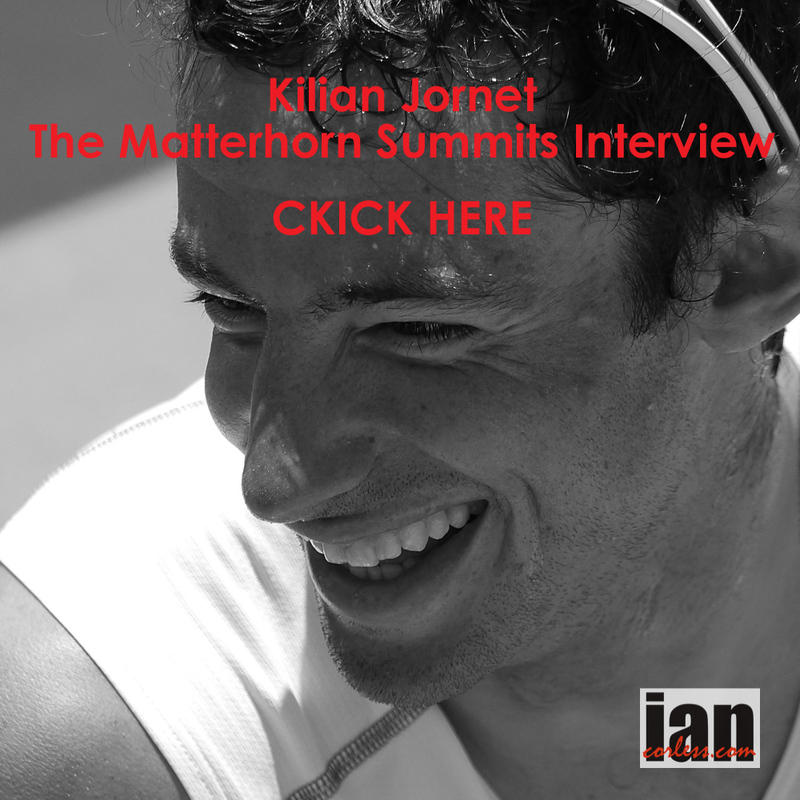 Kilian Jornet describes it as a crazy, crazy place! 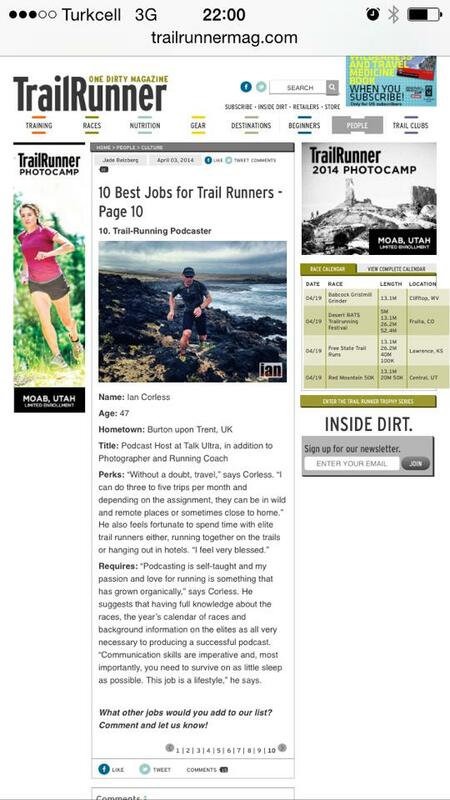 He said very few places have fans that are as crazy and as passionate about running as those on Reunion Island. So passionate are the fans that Kilian actually had a bodyguard for the 2012 edition, just so that he could eventually get away from the adoring fans. Located in the Indian Ocean, east of Madagascar, La Reunion (previously called Ile Bourbon) has a population of just under 1 million. Reunion is French and is one of the twenty-seven regions of France. This is reflected in the statistics of those who enter the race. 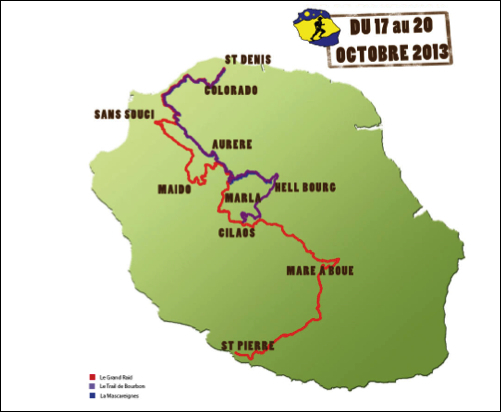 For example, the 2013 edition has 2168 registered runners, 1230 come from the island itself, 775 from France and the remainder from nations all over the world. To put this in perspective, Switzerland have the next highest participation rate with just 24 runners and the UK has no participants at all. To say that this is an iconic French race would be an underestimation. The Island is 39 miles long and 28 miles wide and covers 970 square miles. In size, it is very similar to Hawaii. The Piton de la Fournaise on the east of the island rises more than 2631m and is an active volcano. It last erupted in 2010. The Piton des Neiges is the highest point on the island at 3070m however this volcano is no longer active. 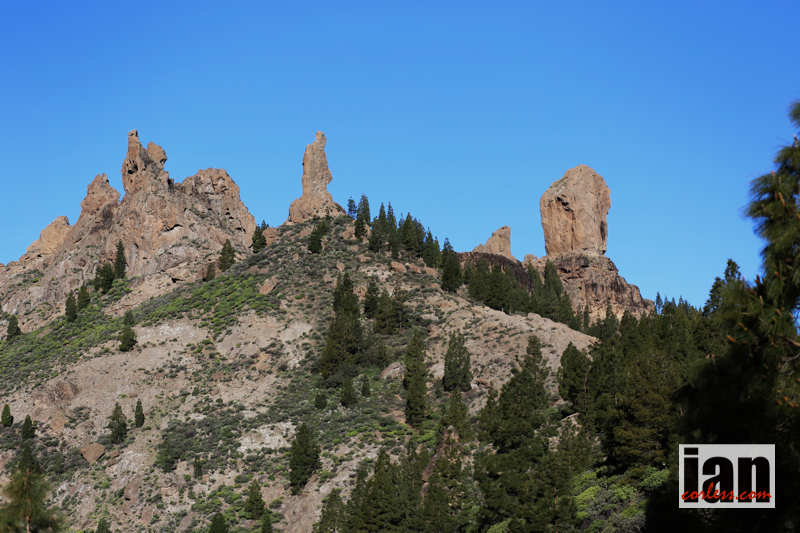 Reunion also has three calderas: the Cirque de Salazie, the Cirque de Cilaos and the Cirque de Mafate. The last is accessible only on foot or by helicopter. Kilian Jornet, winner of 2012 edition in a time of 26:33 returns after a hectic and busy season. He has raced and won at all distances from VK to 100-km and in addition he has achieved great success and results with his Summits of my Life project. 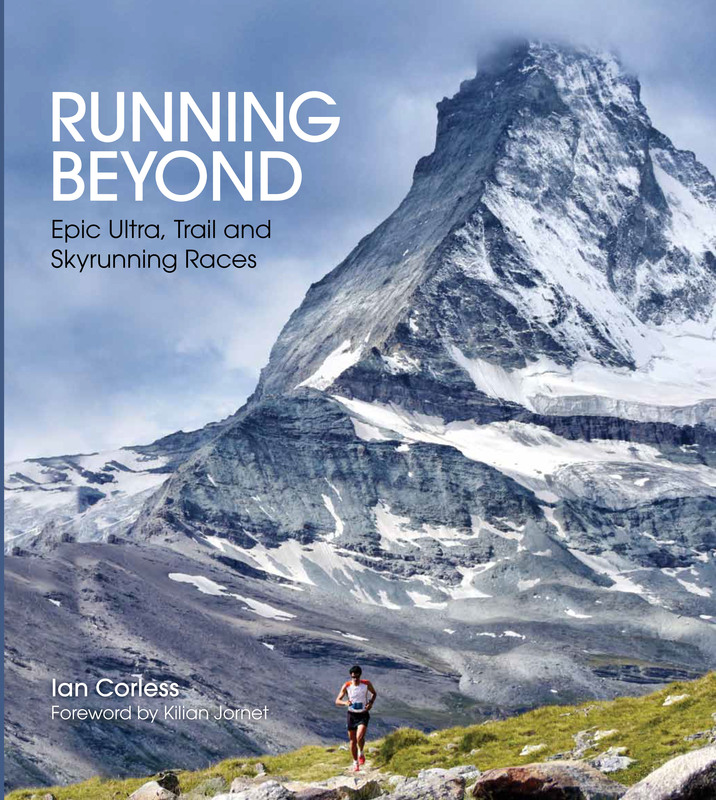 Reunion will be his first and only 100-mile race of the year, however, this comes on the back of an extremely busy 3 weeks of racing; 100-km at UROC, VK in Limone and then the SKY race in Limone, the latter two events just a few days ago. 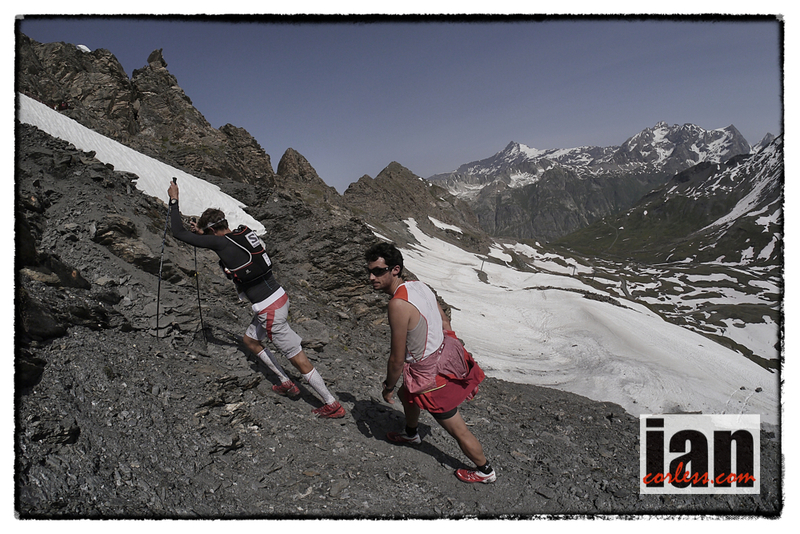 Kilian has incredible powers of recovery and no doubt is the out and out favourite for the 2013 race. Iker Karrera raced at Reunion in 2012 and had a mixed race. He was encouraged repeatedly by his fellow teammate, Kilian, but he eventually dropped from the race. Iker is a different runner in 2013, his incredible win at Tor des Geants (330km) will certainly put him in a great place to push Kilian all the way to the line. Oscar Perez another long distance specialist was the 2012 winner of Tor des Geants and this year placed 2nd to Iker Karrera. He is extremely patient and understand his own pace and ability. You may very well see him relatively low down in the field for the early stages but watch him start to move up and push hard in the latter third. Podium potential for sure. Eugeni Rosello Sole like Oscar Perez is another runner who likes races that are long, tough, technical and hard. Eugeni won the ‘The Spine’ in the UK earlier this year and placed 2nd overall at the 216-km Hexenstleg Ultra. In 2011 Eugeni placed 10th overall at Tor des Geants. So his pedigree over the long distances is not in question, however, he may not quite have the speed to fight for the podium. Francois D’Haene is a consistent and talented runner over multiple distances. In 2012 he had an excellent performances at Transvulcania La Palma but arguably his highlight was winning the shortened TNFUTMB. 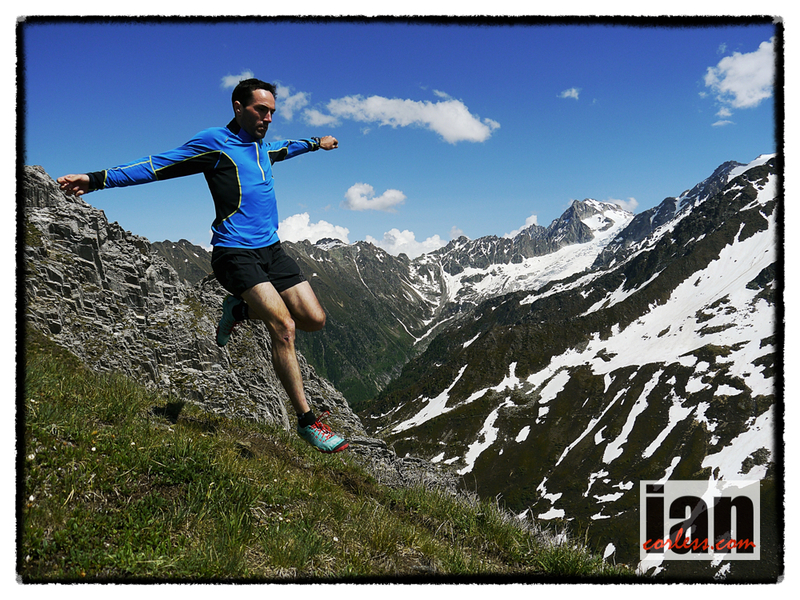 He has been relatively quiet in 2013 however a recent win at the ultra distance event at Mont-Blanc Marathon shows he is in great shape in addition, he went head-to-head with Kilian Jornet at Ice Trail Tarentaise and finished 2nd. Tsuyoshi Kaburaki loves long distance races and gained some great exposure earlier this year when he won Bighorn 100-mile race. 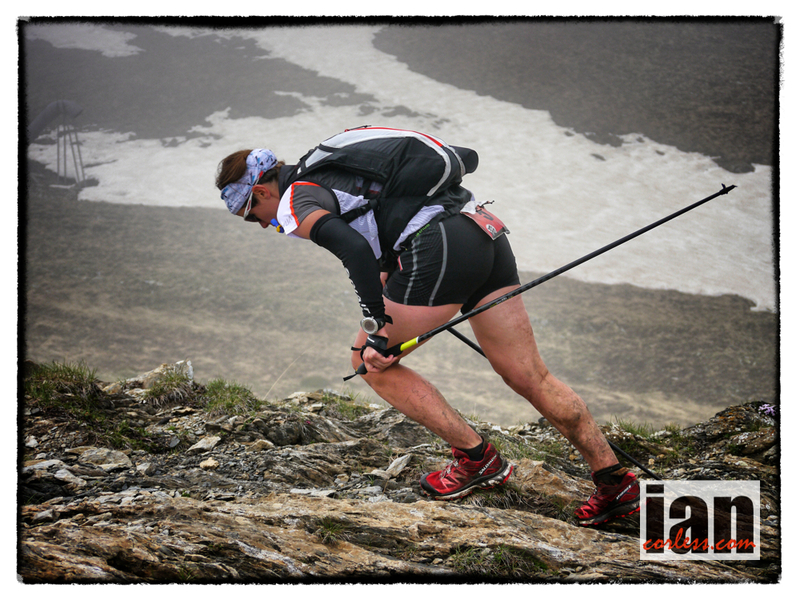 He is a specialist at the TNFUTMB having raced multiple times and securing a highest placing of 3rd in 2009. In addition, Tsyoshi placed 2nd at the 2009 Western States 100. He may not have his 2009 form but for sure, if he is feeling good, he will be up at the front pushing for a podium place. 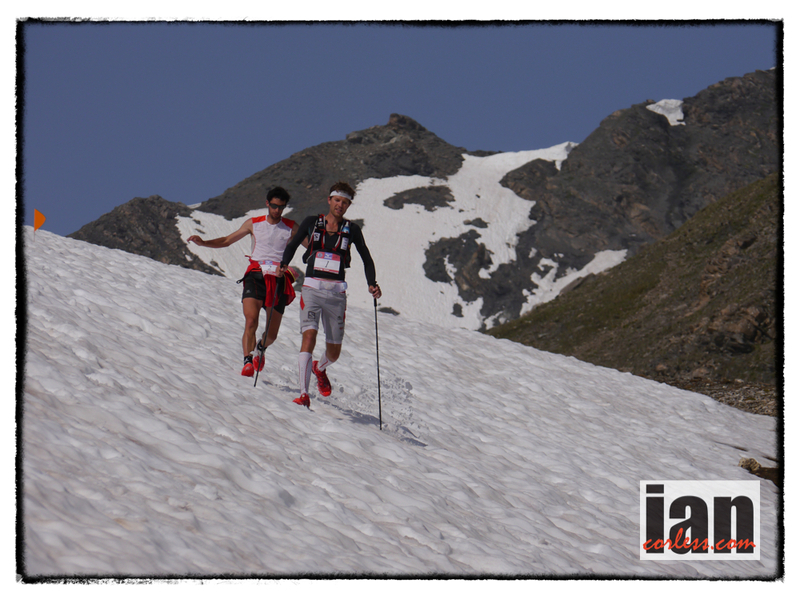 Antoine Guillon placed second behind Kilian Jornet in the 2012 edition of the race just +1:10 behind. Experience counts for everything on Reunion and although competition is high for this year’s race, one has to assume that Antoine will be chomping at the bit to go one place higher in 2013. 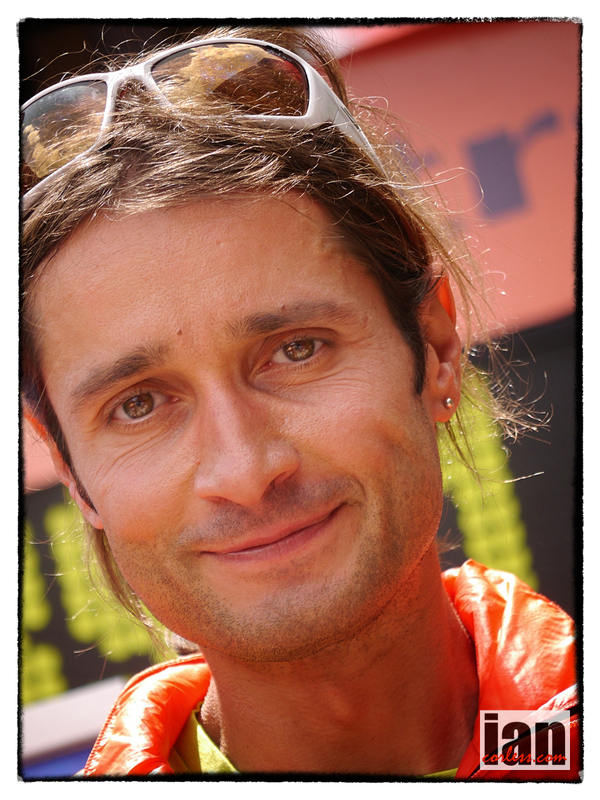 Antoine has been 2nd at TDS twice and placed 5th, 6th and 8th at TNFUTMB in past years. Mico Clain like Antoine Guillon was at the 2012 Reunion race and finished 6th 31:31. That is some way off the pace of the front-runners, however, any race that last 164-kms has ups and downs and Mico has proven he has the staying power, he just needs a good year and a top 5 is possible. David Pasquio placed 7th in 2012 in a time of 31:56. His current form over the longer distances is unknown, although he has raced regularly, his longest race (on file) was Ecotrail de Paris in March, his time of 06:02 being very impressive. George Erick Nirlo 9th in 2012 finished just 1 minute behind David Pasquio and therefore gets a nod in my predictions as a rank outsider. Watch out for Xavier Carabi Garcia, Jordi Sole Mestre, James Irvine, Paul Janssens, Alain Simon, Didier Mussard, and Richard Hallgren. Emilie Lecomte comes to the race as the 2012 champion. Without doubt a specialist at long distances, She is the current record holder for the fastest time by a lady on the GR20 in Corsica and earlier this year she placed 3rd lady at the tough, Ronda dels Cims. 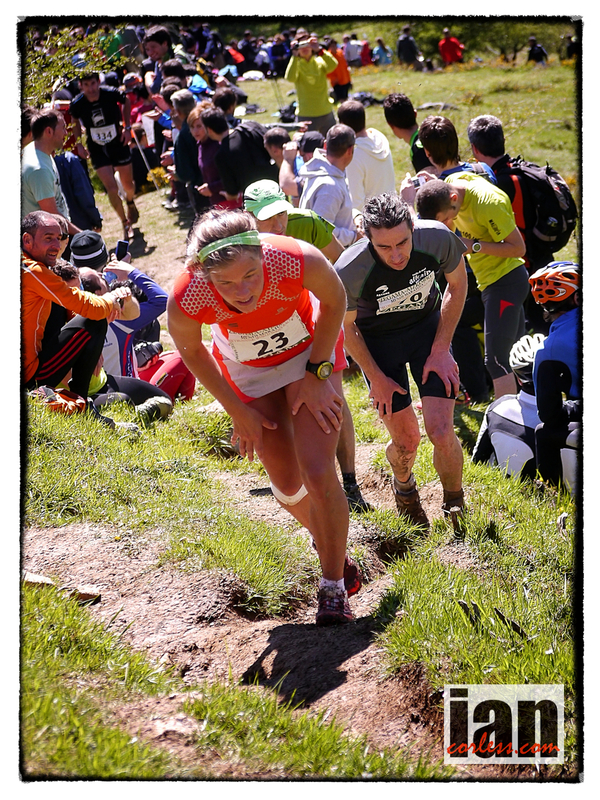 She has had injury recently and had to miss TNFUTMB so one has to assume that she will be in great shape for the 2013 Diagonal des Fous. Favourite for sure! Nathalie Mauclair has been a revelation in 2013, she stormed onto the scene with a top placing at Transvulcania La Palma and has then gone on to perform at the highest level over multiple distances. She targeted the IAU Trail Championships in 2013 and came out on top! Diagonal des Fous will be a very different experience for Nathalie and I am sure she will be as interested in how the experience goes, just as we are. Estelle Carret 5th in the 2012 edition was some way off the pace in 42:19 but in any long race, finishing counts and this is reflected with top 5 places. Estelle has had a strong 2013 with a 5th at TDS and string of 2nd, 4th, 5th and 6th places in shorter races. Geraldine La Chapelle and Cecile Ciman placed 12th and 13th respectively in 2012 and return in 2013 looking to make the top 10. Finally, Emelie Forsberg! Yes, can you believe I have waited this long to mention Emelie? The main reason for this is that Emelie has had a long season. She has performed at the highest level over multiple distances from VK to 100-km and has not only excelled but won most of these races. 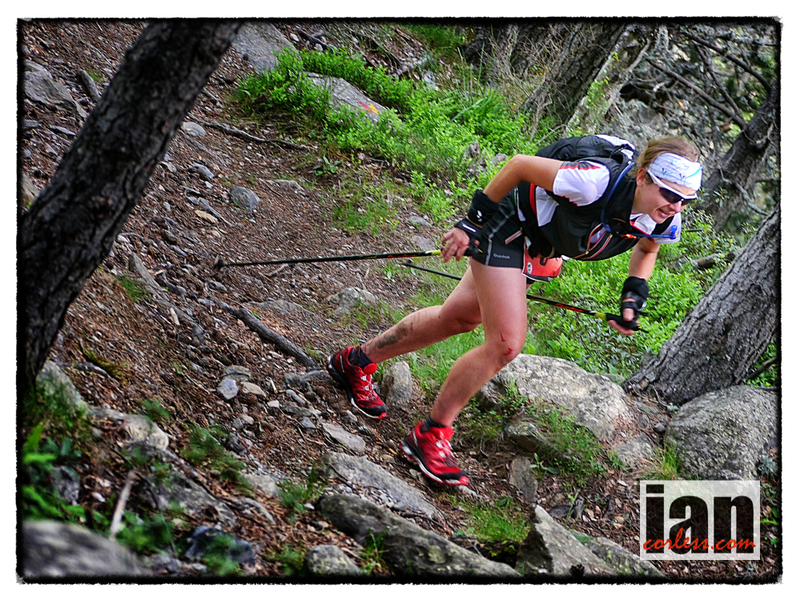 Emelie has recently run and won at UROC 100-km and in the process been crowned Skyrunner World Series Ultra Champion. On Sunday, Emelie raced at Limone Extreme Sky race not only looking for the win but the Skyrunner World Series Sky title, however, fatigue began to show and she finished 3rd behind a storming Stevie Kremer and the ever consistent, Antonella Confortola. Diagonal des Fous is Emelie’s first 100-miler and as such will be a distinct learning curve. We all know that she has the ability to win any race she sets her mind too, however, Diagonal is being added to what has already been an incredible season. Emelie has nothing to prove and as such, I don’t want to add any additional pressure. 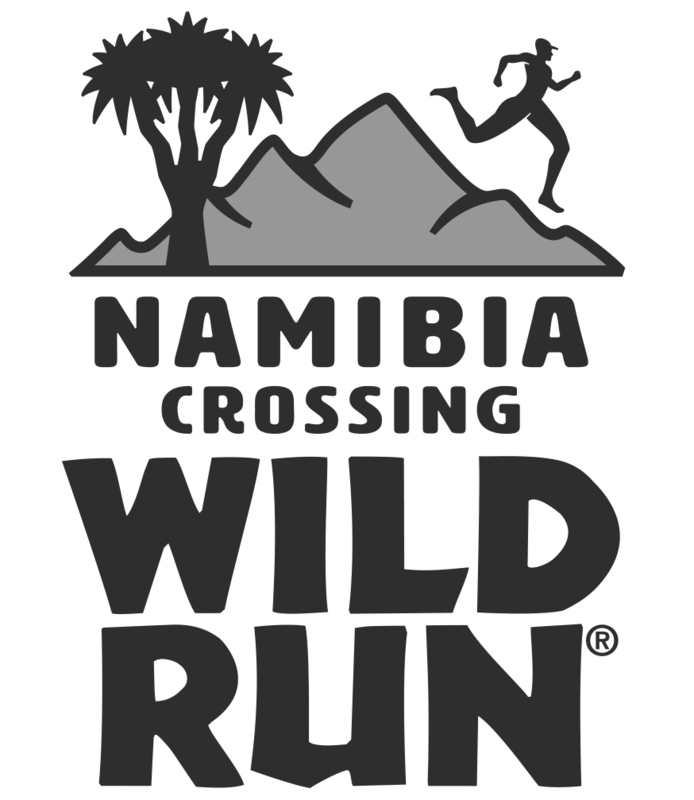 Emelie has openly said, she wants to do this race for the experience and challenge. If she feels good she will push on. If she feels bad, she will save herself and drop. Ones to watch: Alexandra Clain, Angela Laino, Jessica Poirier, Sandrine Renault, Karine Roulet, Alexandre Smith and Hilda Souprayen Ramaye. To complete the Grand Raid one must combine mental and physical capacities. Both vary considerably and unexpectedly during the race. This is what it takes to feed the competitors over the four days of the race but volunteers often are on duty longer to get things ready. They too, need food and drink! 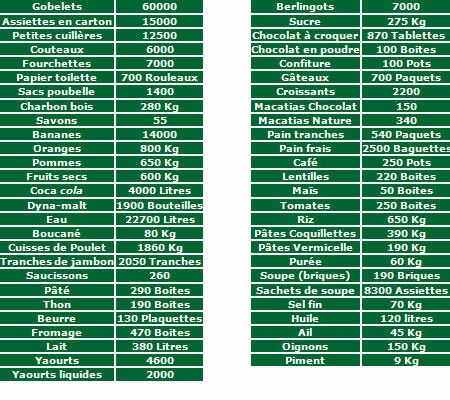 Camp beds, tents, tables, medical equipment, food and drinks, computers, generators etc. How are things brought up to each assistance point? Transport by helicopter is needed to many of those points. At the Piton des Neiges, we even set up a radio relay transmitter to allow the various checkpoints to communicate during the duration of the race! Helicopters cannot do everything! An impressive fleet of vehicles is needed throughout the week of the race: lorries, vans, 4wheel drive, all sorts of vehicles are used, not to forget 12 buses to transport competitors to the start! Julien Chorier and Francesca Canepa dominate the 177km 2013 Ronda dels Cims.the second race in the Skyrunning Ultra series. It was without doubt an incredible and dramatic race in Andorra. Due to late season snow and potential storm risk on Friday night of the race, certain safety measures had to be made and the course was modified to ensure runners safety. It did mean a little less elevation, however, this was compensated for by the race organisers adding additional km’s, making the final distance 177km with a total elevation gain of 12,200m. An International field lined up in Ordino, Andorra on Friday 21st June for the 0700 start. The awards ceremony on Sunday afternoon affirmed the International representation present at the race with five different nationalities on the podium. 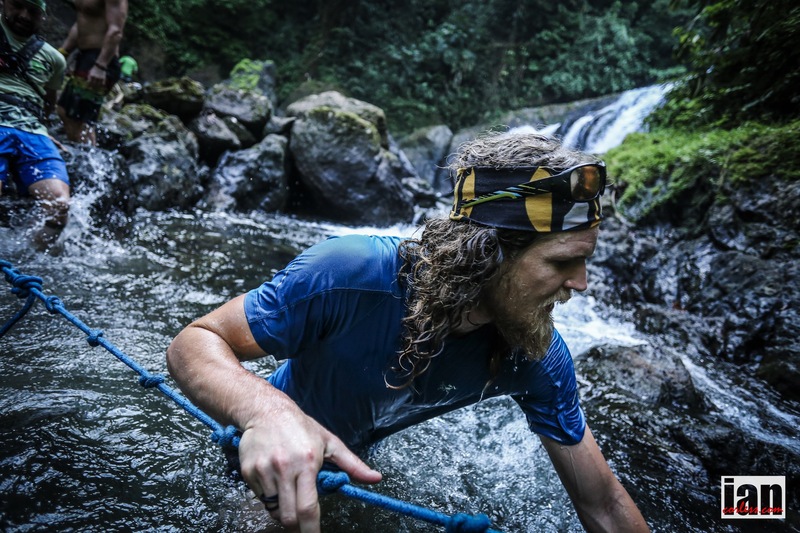 Described as one of the hardest 100+ mile races in the world, it did not disappoint. Warm sunshine in the early stages of the race where followed with torrential downpours of rain and cooler temperatures as night arrived. However, the weather cleared and as the full moon glowed in the night sky, temperatures dropped. It was a long and cold night for the runners turning many sections of the course into unpredictable slippery sections. A new dawn and a new day, the sun burnt the mist away and temperatures rose revealing blue skies and a perfect day and night in the mountains to welcome runners home. Frenchman Julien Chorier dominated the race from the front and I have to say, it is possibly one of the most impressive performances I have been fortunate to witness. He looked so calm, relaxed and focused. 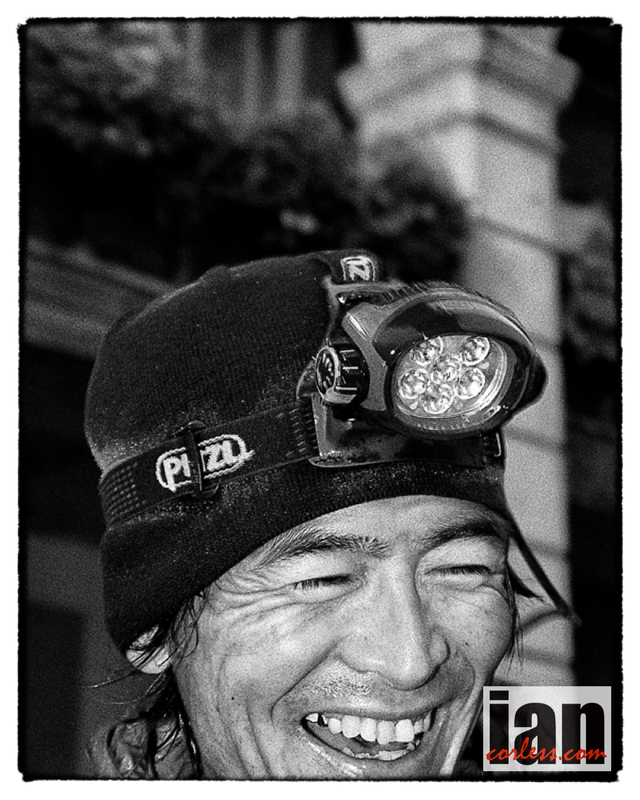 Kenichi Yamamoto from Japan placed second and along with his impressive entourage of photographers and camermen proved not only his ability to run but also how popular he is with the crowds and supporters. Matt Copper from Australia completed an impressive podium and produced a really solid run. He had been at the front of the race over the initial twenty kilometers and then settled in third, however, a fall into a stream during the night meant extended time at a refuge to warm up, this saw him loose a couple of places and drop to fifth. However, as daylight broke his batteries became recharged and he pushed as hard as he could to gain places and eventually finish third. For the ladies, Francesca Canepa from Italy dominated after 65km’s and never looked back. She is a specialist in long distance races such as TNF UTMB and Tor des Geants, so, a top performance was expected here; she didn’t disappoint. She did say after the race that it was the hardest race she has ever done!. A late surge by Olga Mankò from the Ukraine elevated her to second on the podium and Emilie Lecomte, from France, after leading the race over the first 35% of the race faded but bravely battled for a hard won final podium place.